Today, traveling in any urban city has become super easy and convenient. You don’t really need to stand at a street corner trying to flag down a cab in vain. Now, you can simply get your ride wherever you are with a few simple clicks on your smartphone app. Ridesharing has become a common way of life in any major city today, and you can see services like Lyft, Uber and other players ruling the roost. So, what is ridesharing really? Ridesharing services were created as an alternative ride to taxis. Most of these ridesharing services were launched in San Francisco, where getting a cab was very difficult, especially if you were away from the center of the city. The cab hiring scenario was completely changed by players like Lyft and Uber, which came into the market with the concept of ridesharing. Ridesharing is not really “sharing a ride” or carpooling with someone, but using an app to hire a ride via your smartphone. When you reach your destination, you pay the driver via your credit card directly through the app. Once dropped off, the driver goes to pick up the next passenger who has hailed him via the app. Ridesharing has made traveling around in a city so easy and convenient. With just a few taps on your mobile phone, you are all set to get a ride. The best part about ridesharing is it is so much cheaper and quicker to get a ride as compared to regular taxis. And, the best part is, you can pay for the trip automatically without carrying cash. Uber vs. Lyft: Is one really better than the other? The two major players who have been dominating the scene are Uber and Lyft. Uber started its operations in 2009 in San Francisco and today, Uber has a worldwide presence, while Lyft has been on the scene since 2012. Also, based out of San Francisco, Lyft now has a nationwide presence. In 2012, Sidecar also launched its services becoming the 3rd most popular cab hailing option. Since then, they have changed their focus from ridesharing to deliveries, so we will be discussing only Uber and Lyft in this article. Uber has a very wide presence and offers its services in hundreds of cities in several countries worldwide. Uber currently has its presence in around 58 countries and in 300 cities across the globe, in total, though they are expanding. Uber has more cars and customers, and hence its operations are much larger than Lyft. Lyft has its operations in only 46 states, covering just around 65-70 cities throughout the United States and the District of Columbia. Since Uber’s footprint is much bigger, it may be the only alternative available to you other than a regular taxi in many areas. Since Lyft’s operations are restricted only to the United States, when you are traveling abroad, the only option available is taking an Uber. Both Uber, as well as Lyft, are available round the clock; however, if you are in a small city, you may face some trouble in finding a ride in the event there are no drivers operating at the time. Both are on-demand services and you typically have to wait only a few minutes before you get a ride and, in a few places, you also have the option of booking a ride in advance. For instance, Lyft lets you reserve a ride up to a week in advance in 25 cities, while Uber allows its passengers to schedule their ride up to a month in advance in most of the cities where it has its operation. This option is especially beneficial when you have to be on time at a certain place for a meeting, a job interview, or if you’re going to the airport. Or, you have the option of just opening the app and checking the distance of the driver nearest to you, checking the traffic conditions and reserving your ride accordingly. Both Lyft and Uber work in a similar way. The amount you pay for the ride is generally much less than you would pay if you were to use a traditional taxi to travel the same distance. The best part about these ridesharing services is you can book your ride from wherever you are using your smartphone, and you can check the location of your driver so you know exactly when your cab will arrive. This is obviously significantly better than calling for a cab and waiting endlessly for it to arrive without having any idea of when it will come. 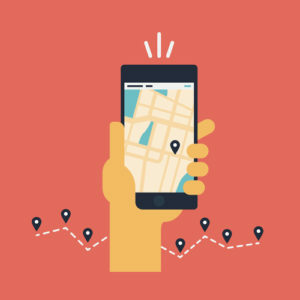 Both Lyft and Uber rely on GPS location-based information. This requires you to have a stable internet connection, either via your cellular service or Wi-Fi. When the ridesharing app loads up on your smart device, a pin is dropped on your present location. If the pin is not exactly where you are, you can simply adjust the position of the pin to get your exact current location. If you require a pickup from any other location, all you need to do is to enter the pickup address. You need to then enter your destination and both Lyft and Uber can identify the place with the address of the street, or by using points of interest. When you put in your destination, the app estimates the cost of your ride based on the time of the day, the service you select, the demand at the point in time you request a pickup, and the distance you are traveling. Both companies give you the estimate of the time the driver will take to arrive at your pickup point. You can choose a waypoint en route, which is especially beneficial if you are dropping someone off, picking up a friend, or you want to stop to buy something before you go on to your final destination. Another feature offered by Lyft is it allows you to reserve a later time for a pickup. Uber gives you an estimated time of arrival of your ride even before you book it. However, in the case of Lyft, you don’t get an expected time of arrival until you complete the booking of the ride. When you make a booking for a pickup, both Lyft, as well as Uber, give you a real-time visual of the progress of your driver to your pickup location. Both Lyft and Uber are competitively priced with the attempt to constantly lure away each other’s customers by offering lower prices. 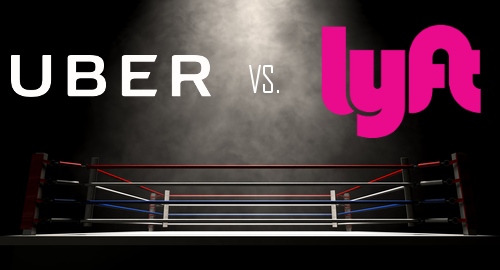 Let us take a closer look at the pricing strategies of both Lyft and Uber. Broadly speaking, both of them more or less charge the same; however, the costs can vary from one city to another. Both the service providers charge a minimum rate of $1.00 to begin a ride and charge 25 cents a minute and $1.50 per mile traveled. So, on an average, the cost per mile is around $2.00. The costs vary according to the type of the vehicle and the city. Another factor which plays a very important role in the pricing is the location and peak times, where the demand for transportation is very high. Both companies follow this concept with Surge and Prime Time pricing, which essentially means when the demand for rides is more than the normal demand, the fare prices are raised. Many times, Uber charges a fare which is 7-8 times the original price when the demand is high, while Lyft may charge twice the fare amount during peak times. However, both the services notify the passengers about the increased pricing before they take on the rides. This means several passengers will decide to take a Lyft during peak times when Uber charges its exorbitant amount through Surge pricing, as Lyft does not charge the high multiples that Uber does. From the perspective of the driver, Lyft is a better option than Uber, as Uber’s high commission fees and the new upfront pricing strategy are not driver-friendly. While the cost of taking an UberX will cost you the least amount, the most expensive option is the UberSUV. Each class of vehicles has a minimum base fare, which makes it worthwhile for the driver even to take up short rides. If you make any alterations to the ride when it is underway, the pricing is affected and this is a common feature with both Lyft and Uber. The passengers can make payment for their ride via the smartphone app, where you need to input your credit card before hailing your first ride. Lyft provides an option where the passenger can tip the driver via the app or by cash and the entire tip amount is kept by the driver. Lyft has the capacity for the passengers to split the fare of the ride with their fellow passengers, as long as this is done during the ride. The splitting of the cost cannot be done once the ride is completed. Uber, in one of its more recent updates, started allowing passengers to tip their Uber drivers through the Uber app itself. Uber also added the ability for passengers to split the fare with the co-passengers via the app. Both the ridesharing services are app-based and you can download the app on your Android or iOS devices for free. Both the apps have the same features and functions, relatively speaking. Via the app, you make a request for your ride at your specific GPS location. You can track your driver in real-time via the GPS. After your ride, you need to give your driver a rating. The apps of both Lyft and Uber are user-friendly; however, Uber tends to give its passengers a clearer idea of the cost of the ride. The Uber app is feature-packed and the latest upgrades have many cross-promotional offers, such as Uber Eats, though the customer may not really need it. Uber employs drivers who are both professional as well as non-professional drivers. These drivers employed by Uber need to pass the background verification and driving record check. Uber has a wide range of cars to choose from whose availability varies according to the city. UberX: This is a basic sedan for daily rides and accommodates up to 4 passengers. UberXL: This is an affordable SUV for up to 6 passengers. UberSUV: This is a luxury SUV service for up to 6 passengers and is the most expensive service offered by Uber in most cities. UberPool: This service lets passengers going in the same direction with varied start and end points to share a sedan and also the cost of the ride. This is the cheapest option for a rider available with Uber. UberBlack: This essentially provides rides in high-end, luxury cars driven by professional drivers and can accommodate up to 4 passengers. UberWav: This offers rides in a motorized scooter or wheelchair-accessible vehicle and the drivers are trained to assist the passengers when entering and exiting the car. UberSelect: This is, essentially, a high-end service which provides luxury sedans and the drivers are top-rated. This leve is used for special occasions, for example, and accommodates up to 4 passengers. UberTaxi: This allows you to hire a yellow taxi via the Uber App. Uber has specific vehicle requirements which must be met by the drivers for each city, and even if you select the lowest priced ride, like UberX, you will get a vehicle which is in good condition, not branded commercially, has a working air conditioner and has passed the vehicle inspection process. Lyft also specifies the minimum requirements a vehicle offering even the basic service level must meet. The cars must be a 2005 model, or more recent, they should have all 4 doors intact without any damage to the body, and a properly functioning air conditioning. Lyft also offers different classes of service that vary according to the city; however, their vehicle choices are lesser when compared to Uber. Original Lyft: This is a budget option and offers rides in standard vehicles which can accommodate up to 4 people. Lyft Plus: This offers rides in standard vehicles and can accommodate up to 6 people. Lyft Premier: This is a high-end vehicle ride for up to 4 people. Lyft Lux: This is essentially the premium car service of Lyft which offers rides in base model luxury vehicles. Lyft Lux SUV: This is the premium luxury SUV service Lyft offers with a capacity for up to 6 passengers. Lyft Line: This is Lyft’s carpool service which takes passengers traveling in the same direction, allowing carpooling to save money. The target audience of Uber started mostly business people and professionals, though it’s expanded to virtually anyone needing a ride. The Uber drivers are upheld to being professional in their attitude and behavior with a quiet, business-like ride. And, if you’re really looking to impress a business client, it’s always a good thing to arrive in an UberBlack. So, if you want a social interaction filled ride, then Lyft may be what you should consider. The passengers of Lyft are encouraged to sit alongside the driver in the front and chat. The drivers of Lyft have also been known to do fun things for their passengers and themed rides, such as a karaoke theme, sports theme, Harry Potter theme, etc. Both the companies, Uber and Lyft, hire drivers by screening them in a similar manner. Both companies do background checks of the person applying as a driver with the company by checking on basis of the social security number before they are approved to be a driver. The criteria of approval vary according to the particular state. While Uber does not re-do the background checks of the drivers, Lyft does a re-run of the background checks every year. Originally, the front of the Lyft vehicles had furry pink mustaches; however, since 2016, they have changed to a system known as the Amp. The Amp is located on the dashboard and gets illuminated in a specific color. The passengers waiting for a ride see the particular color on their phone and is especially useful when hailing a ride when its dark, or if you’re leaving any venue where all the people there are using ride shares. The vehicles of Lyft display the Lyft logo prominently on the front and back windshield of the car. Uber also makes use of a beacon much like the Lyft Amp in order to enable their passengers to identify their rides. The drivers have Uber logo placards on both the front as well as the rear windshields. The customers and the passengers can also recognize each other with the help of the app, the car number, and car description. Both Lyft and Uber have ventured into food delivery. In competition to services such as Postmates and GrubHub, in 2014 Uber launched its food delivery service, UberEats. UberEats offers drivers a way to earn money if they don’t have any passengers. For delivery of food and packages, Uber requires the driver to be, at a minimum, 19 years of age and have a car with at least 2 doors. In some cities such as Chicago, San Francisco, and New York, you can use UberRush to courier your packages and the driver can make the delivery on a scooter or bike if the driver does not have a car. Uber entered into a partnership with McDonald’s in December 2016, when it decided to get into the food delivery business with Uber. Lyft has also entered the food delivery business and has a partnership with Taco Bell. A new feature, known as “Taco Mode” was tested by the two companies in July of 2017, where a passenger en route in a Lyft vehicle could push a button on the phone app and the car would take them to the closest Taco Bell. However, this service is available to the customers only between 9 p.m. to 2 a.m. The company plans to roll out the Taco Mode to all the devices by the year 2018. Both passengers, as well as drivers, can contact Uber and Lyft through their respective websites, critical response lines, in-app support, email, etc. From many of the responses we’ve seen, both tend to feel Lyft’s customer support and complaint resolution has a slight edge when compared to Uber. While Uber offers pre-set responses which are available readily on the Help Portal, Lyft responds to your queries individually. Both Lyft and Uber have critical response lines for resolutions of more serious problems, such as the bad behavior of the driver, accidents, etc. A greater number of driver incidents occur compared to passenger incidents. The drivers of these ridesharing companies feel the support number provided by Uber is the best method to solve any issues. Both Uber and Lyft are privately held companies. In December, Lyft’s fundraising received $600 million from several investors such as KKR & Co., Fidelity, Rakuten, Canada’s Public-Sector Pension Investment Board, among others. In January 2016, the company raised $1 billion as funding and was valued at $5.5 billion. Post the funding in December 2017, Lyft has been valued at $7.5 billion. Lyft has received around $4.61 billion since it was seed funded in 2008. Since its inception in 2009, Uber has had several rounds of funding totaling around $11.56 billion. In 2017, 7 investors, such as Morgan Stanley, Public Investment Fund of Saudi Arabia, and Letterone Holdings SA, provided funding of over $3.5 billion. Early in the year, Uber’s valuation was estimated close to $70 billion. Although both Uber’s reputation, as well as the valuation, have been damaged considerably because of the various lawsuits and scandals which have rocked the company. 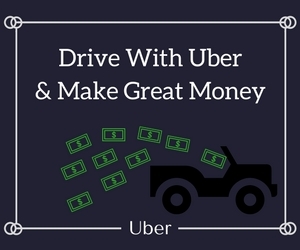 Both Lyft and Uber compete fiercely in terms of pricing and both companies are constantly striving to build new partnerships and innovate in this newer space, which helps in cutting costs, as well as prices, thereby resulting in enhanced customer demand and bigger profits. A tiered service which means if you want a ride which is above average, you can hire a luxury ride. The company has a strict and rigorous system of rating the drivers, which results in higher professionalism. The Surge pricing strategy adopted by Uber helps to encourage the availability of more drivers during high demand and peak times. The passengers can participate in the Lyft Line, which allows passengers riding together in the same directions to split the fare. Lyft has added Amp to their cabs which glows in the same color as what color is displayed on the rider’s app, making it easier for riders to find their cabs in busy areas. Lyft has awarded people with innovation awards who have made their valuable contribution to the development of the ridesharing industry, as a whole. These innovations are good news as far as the passengers are concerned because these innovations lead to the rides becoming cheaper and prices dropping in the future. Both Uber and Lyft are growing, and quite competitively at that. Where the brand image and reputation are concerned, Uber has been embroiled in several lawsuits, scandals and has received plenty of bad press. While Uber has had problems with the brand, the company image is strong. It’s a household name. On the other hand, Lyft has quite a clean image, and if they do get any bad PR, they appear to rectify their mistakes and go on. This has led to several customers moving to Lyft in the long run. Self-driving vehicles are the next logical step for ridesharing companies like Uber and Lyft. Both Uber and Lyft have been partnering with various companies in order to move ahead with introducing self-driving cars into their fleet. Uber began a pilot program in Pittsburgh, which has also extended to Tempeh, Arizona. Uber plans to move from the model of ridesharing it currently has to using drivers who own autonomous cars. And, to this end, Uber plans to buy 24,000 autonomous cars from Volvo. This could help to give the ambitious plans of Uber a huge boost to replace human drivers with self-driving vehicles. However, currently, Uber is embroiled in a lawsuit with Alphabet, the parent company of Google, who claims Uber stole trade secrets of the autonomous car technology from Waymo. Uber also plans to start a new branch of the company, Uber Elevate, which plans to launch their first flying cars and focus on flying transport systems. Lyft has partnered with Drive.ai, an autonomous self-driving vehicle developer. In 2016, Lyft announced its intention to work with General Motors to develop autonomous cars. Lyft has also joined hands with Waymo and got an investment of $25 million, in addition to cars for testing self-driving from Jaguar-Land Rover. In June 2017, Lyft joined with Nutonomy, based in Boston, and, in December, it deployed the self-driving cars developed by the company in the Boston Seaport District. Lyft is also building its own autonomous software, as well as hardware to go with it. The self-driving cars also have a driver at the wheel of the cars, so they can take control of the car in case of any problem. Both Uber and Lyft plan to have thousands of self-driving cars in most of the major US cities by the year 2020. In conclusion, both Uber and Lyft offer an excellent and innovative alternative to conventional taxis and other modes of private transportation. Both the companies offer their customers an extremely convenient way to request a ride and pay for it via their smartphones. However, when it comes to the service area, service offerings, and company culture, both are significantly different. And, since both companies work with drivers who are essentially independent contractors with different kinds of vehicles, every trip you make will be a different experience. So, the final question which arises is, who is better, Uber or Lyft? The answer to this is really determined by various factors such as your location, the kind of ride you’re looking for, the pricing, how urgently you need your ride and the importance of using the app. Sometimes, depending on your location, using an Uber may be more beneficial. At other times taking a Lyft ride may be more advantageous. For instance, if you’re celebrating a special occasion with a group of friends, taking a Lyft may be a more fun kind of experience, as they may be doing some kind of a theme and the drivers are more interactive. Finally, the choice of ride, whether it is a Lyft or an Uber really depends on the value customers get from their ride at a particular time. And, at the end of it all, what customers are really looking for is a reliable, safe and an inexpensive ridesharing option.